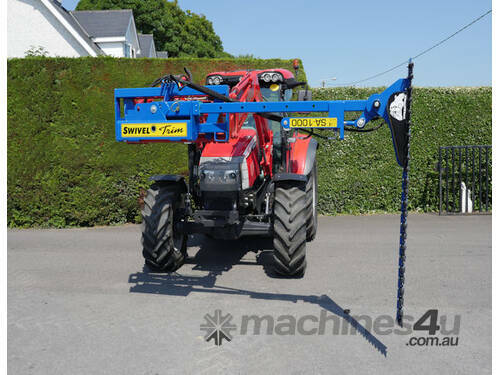 SA-1000 Swivel Trim Tractor hedge trimmer. 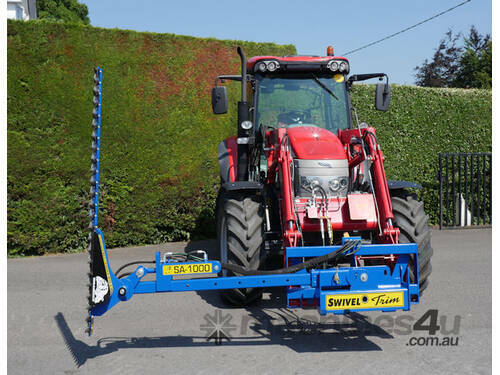 The SA-1000 Swivel Trim Tractor Front Loader Finger Bar Hedge Trimmer is a quick and easy system allowing you to perform neat hedge trimming. 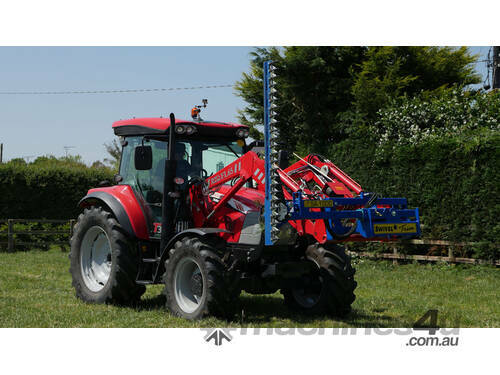 This system is connected to the tractor hydraulics so you need a tractor with a suitable hydraulic flow for it to operate properly. Eighty horse power upwards is recommended. 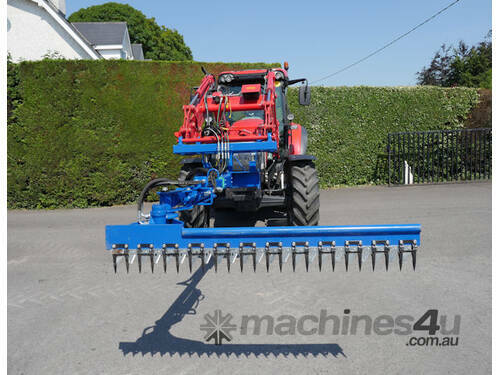 This product has a spring break away which protects the cutting head. 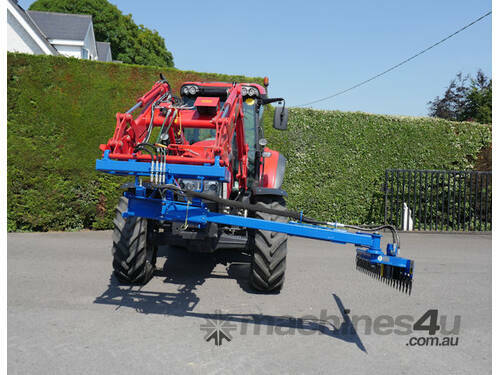 It is very easy to use because you are cutting straight ahead of you and the steering is very responsive to your cut. 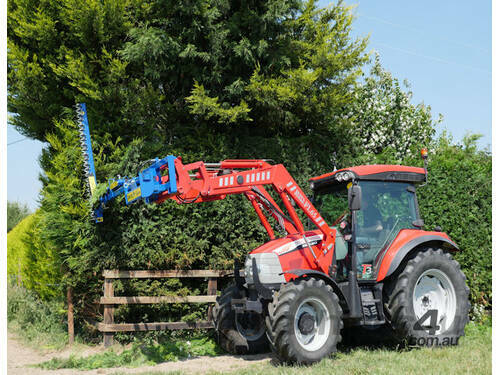 You can reach good heights with your loader and gives you a neat and even cut. 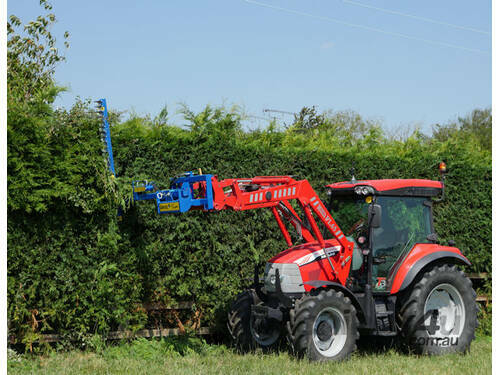 The hedge cutter bar can be hydraulically adjusted between the vertical and horizontal positions from the cabin of the tractor. By the removing of one pin, you can easily swivel the head to the opposite side. 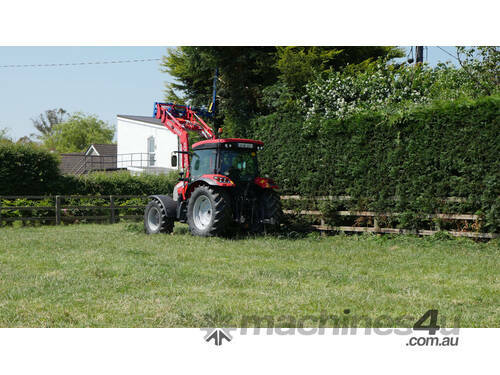 This allows you to cut down behind fences and it also allows you to cut into corners. 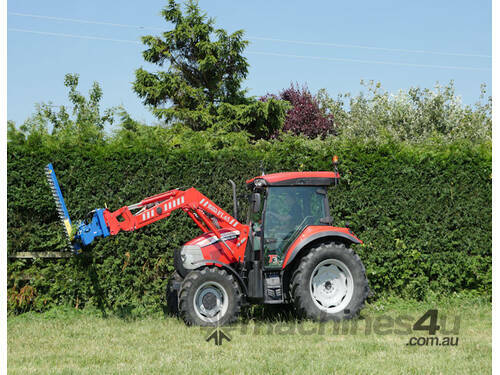 This operation is very difficult with other hedge cutters. 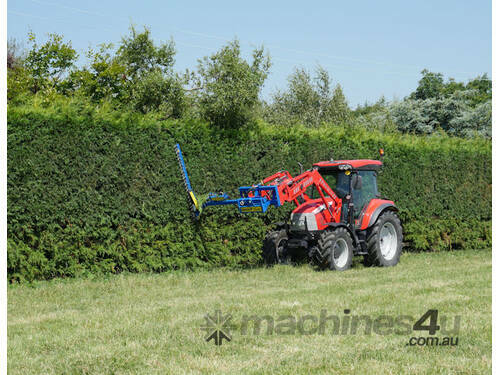 The SA-1000 Swivel trim hedge cutter can cut through branches up to 40mm thick. 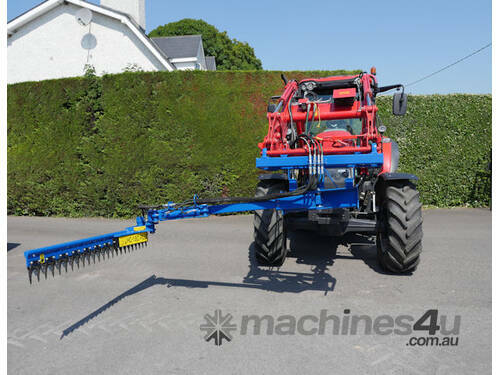 Also great for agricultural applications - ie. Vineyards. 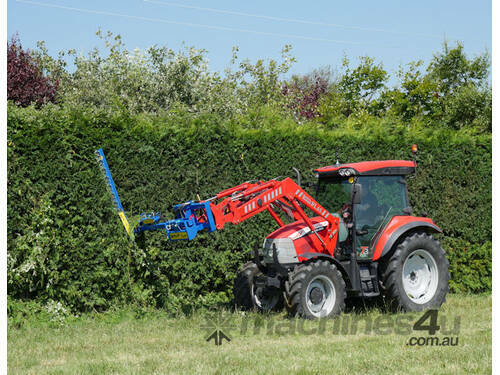 The SA-1000 Swivel trim hedge cutter comes standard with a Euro hitch to suit most tractor loaders. Also includes hoses and couplings.